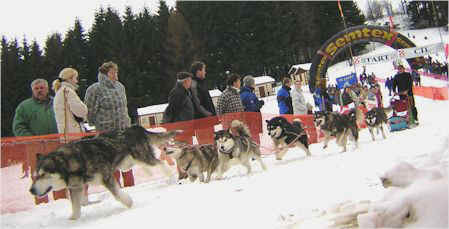 Jarda Jiranek (Musher Club Metuje - Czech Republic) & his racing Malamutes! 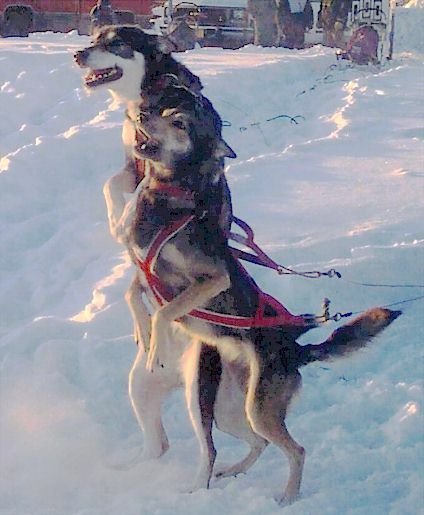 Sled Dog "Line Dancing" - Go Dutchess and Curry! 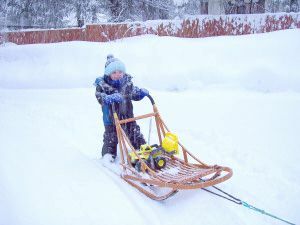 Photo by Dori Hollingsworth, Hunter's first sled ride! 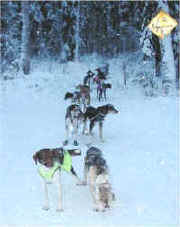 Mushing or Construction? 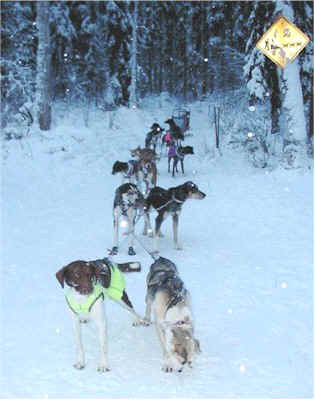 Mushing or Construction? What's a guy to do??? 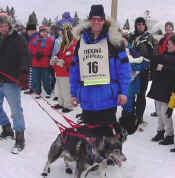 This years race in Tok was dedicated to Archie Denny, the winner of the first TROC race in 1954. 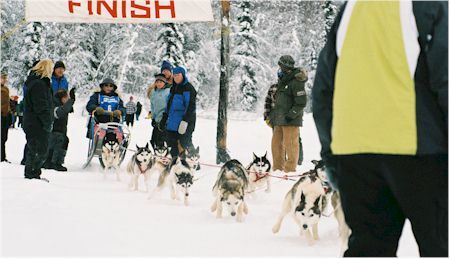 Blake Freking wins 2004 Beargrease Marathon! 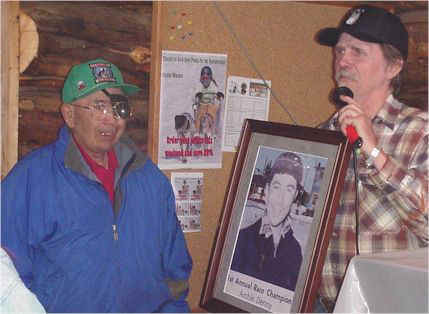 Photo by Mark Bolton, Union Leader - Provided by Hank Plaisted. 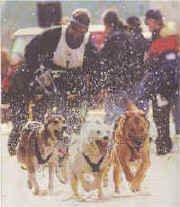 Hank Plaisted's Happy, left, and Oddy, right, burst out of the starting gate in the 6 Dog Class of the 2004 Laconia World Championship race.